These are the type of bunks that were used by British troops. 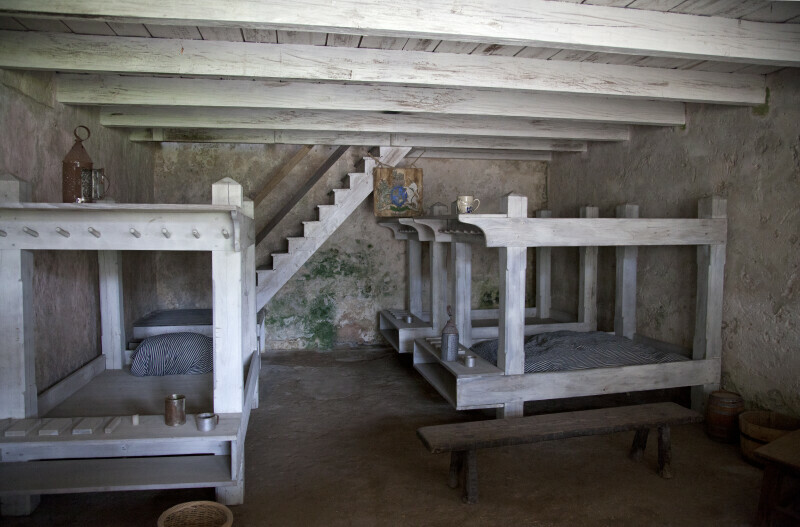 The shelves, at the foot of the bunks, were used for personal items, such as tin lamps and ceramic mugs. The fort is a National Monument, and is listed on the National Register of Historic Places.